Warming up in the sauna and then cooling off with a hit on the ice. Nice bunnieh bong! Happy Easter Berries, sounds like a fun time! That's called a blasphemy bong. What a terrible waste of chocolate. I've tried. It wont light. It's usually cheap waxy nasty chocolate. I could get it in FL in a couple specialty stores. I should really send you some. I love Fazer chocolate! I spent some time in Oulu a few years ago when I was dating a Finnish guy. I really enjoyed my time there, the sun never sets in the summer. Fazer? Not for me, Goodio makes quite nice chocolates in Helsinki. I'll bet you guys would like that way more than anything by Fazer. Sure it's more expensive but chocolate is a luxury anyway. My personal favorite is THIS by Zotter. It's a 100% cacao bar with very nice texture, almost no mealiness, not very bitter for being cacao mass either. For me, everything chocolate has paled in comparison when tasting them after eachother, even the Goodio ones, which I thought were awesome BTW. The only place where I've seen it on shelves is Punnitse & Säästä. ...I figure they might get it to your local R-Kioski if you'd ask them to. As far a cheap chocolate, the Lidl Amazonas is hard to beat. 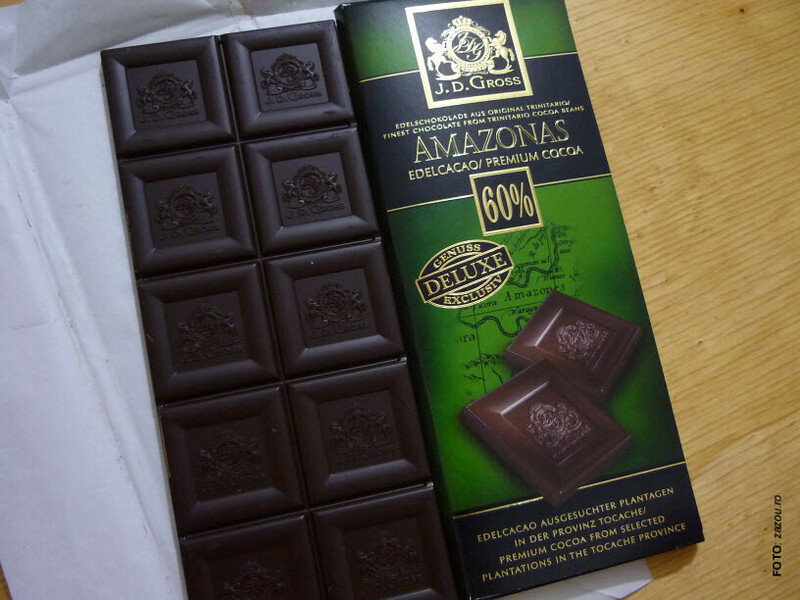 Amazonas 60% CM... the beans are Trinitario from the Tocache Province in Peru. The fruitiest tasting chocolate I've ever had. I second that, very good stuff for being from the lower price range. That's always my choice if I want to get chocolate right away without any speciality stores nearby. (04-15-2017, 05:00 PM)Berries Wrote: Fazer? Not for me, Goodio makes quite nice chocolates in Helsinki. I'll bet you guys would like that way more than anything by Fazer. Sure it's more expensive but chocolate is a luxury anyway. I'd buy it for the boxes alone!